Since first playing for Welling in 2008, he has played for a number of clubs. 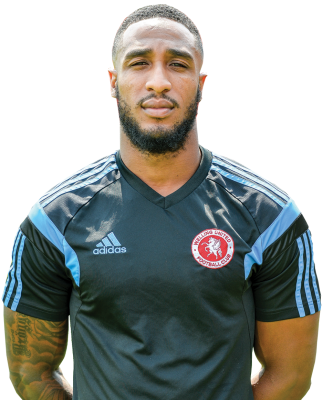 He was signed by Peterborough United after a handful of impressive performances for the Wings before moving on to Grays Athletic. He then joined Farnborough under Steve King before spells at Havant and Waterlooville and Sutton United. He was then reunited with King in Macclesfield Town and was part of their best ever F.A. Cup run. He has since played for Cheltenham Town, Ebbsfleet United, Dover Athletic, Braintree Town, including a loan spell at Welling, and Chelmsford City last season.